The River Thames Lunch Club offers an all-inclusive package of a five-course taster lunch menu with interesting wines at £57.50 per head.. The lunch reception starts at 12.30 with lunch being at 1.00. 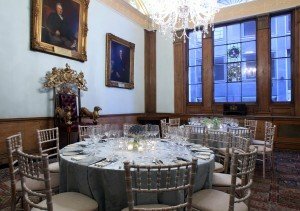 This is a wonderful way to enjoy the elegant Watermens’ Hall.